This 163m2 suite celebrates the indigenous culture of the Khoi people. Their peaceful nomadic lifestyle is reflected through the tranquil style of this opulent suite. With two large bedrooms, this suite lends itself to families and couples. The spacious lounge houses striking art, designer furniture and simple artefacts with a magnificent fireplace. 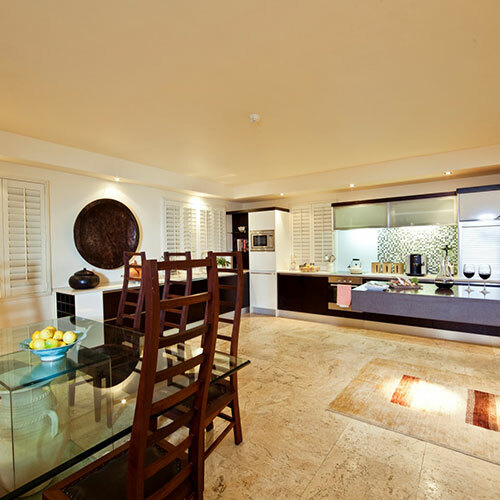 There is an enormous kitchen and open plan dining room, with marble counters and island lends itself to entertaining. The guest toilet is tucked into the stone clad staircase that leads to the upstairs bedrooms. 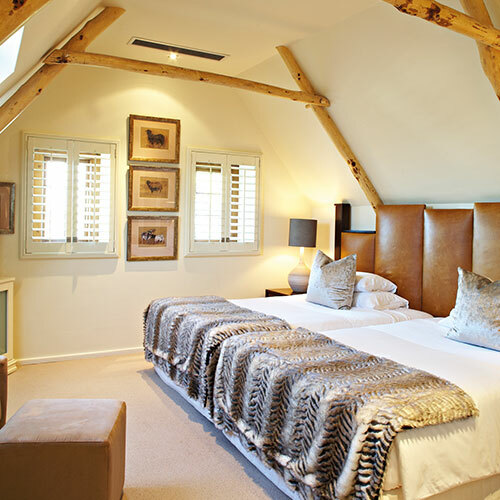 The luxurious master bedroom has two double beds and views over the vineyards to the distant mountains. There is a stylish stone en-suite bathroom with chaise longue. The second bedroom can be made up with either twin beds or a super king bed and has its own contemporary bathroom, all under high thatch roofs. The Khoi Khoi Suite has a tiled terrace with loungers and an outside table looking onto a lawn and the vineyards. The private pool with its generous white stoned tiled terrace is surrounded by a garden and indigenous trees overlooking the vineyards. 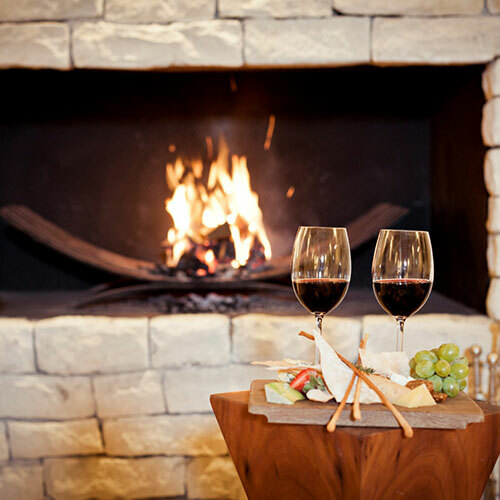 The Heritage Suites at Steenberg Hotel offer elegant accommodation for the most discerning travellers. Grounded in the rich heritage of the Estate, these luxurious suites celebrate our Hotel’s status as a Provincial Heritage Site. 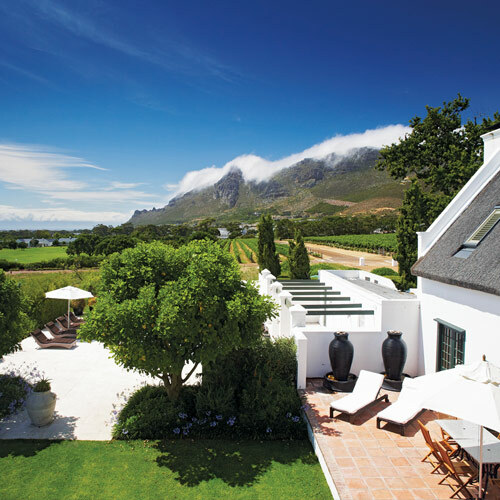 The three suites, The Cape Colonial, The Khoi Khoi and The Dutch East India pay tribute to three distinct periods in the Cape’s history through a contemporary interpretation of these landmark eras. Offering luxurious accommodation and amenities, personalised service and understated elegance, the Heritage Suites consistently exceed expectations. 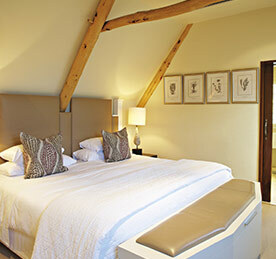 The suites are housed within the original Jonkershuis building, a traditional Cape Estate building with the original purpose of housing young bachelors. This building adheres to the laws for Historic Buildings, and so the exteriors have not been altered in any way, and reflect the estate’s original 17th century architecture and design. The interiors of these magnificent suites, however, unfold into a seamless combination of old-world charm and modern opulence.